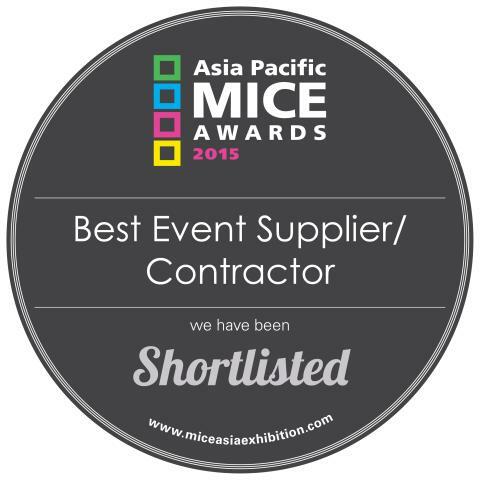 We are thrilled to announce that Hong Bao Media has been shortlisted in the Best event supplier/contractor category at the Asia Pacific MICE Awards 2015. The award ceremony to be held in Singapore on September 10, 2015, recognizes excellence within the events industry and acknowledges those who play a defining role in supporting, growing, and moving the industry forward. Hong Bao Media's event based service called eventv is a package of services offered by HBM. We help build awareness in the weeks leading up to the event, resulting in higher delegate attendances. The relevant, substantive and meaningful content we produce on-site is then used for post-event marketing and for attracting sponsors to next year's event. Unlike a "video production company", eventv is like your own, in-house television news station. We are the event's Official Web TV Partner. Editorial – our team of journalists research each story and produce newsworthy content audiences want to see. We have the editorial expertise to produce all manner of business programs. This is critical in ensuring fast turn-around, so that neither you nor the client needs to give minute instructions as to where to edit. Presentation – our team of multilingual television presenters have many years of experience. Their presence lends authority and credibility to the programs we produce. It’s like having your own in-house official broadcaster at the event. Integration – our programs integrate with existing event apps and online event platforms, such as Pathable.